My son Michael is a typical 8-year-old boy who loves playing with his friends and driving his mummy crazy! He has so many hopes and dreams – he loves to dance, sing, tell jokes and dreams of being on tv making other people laugh and smile. He also loves playing his game consoles and going out to play with his older brother – really just everything an 8-year-old boy would want to do, but for Michael some of these things can be hard. 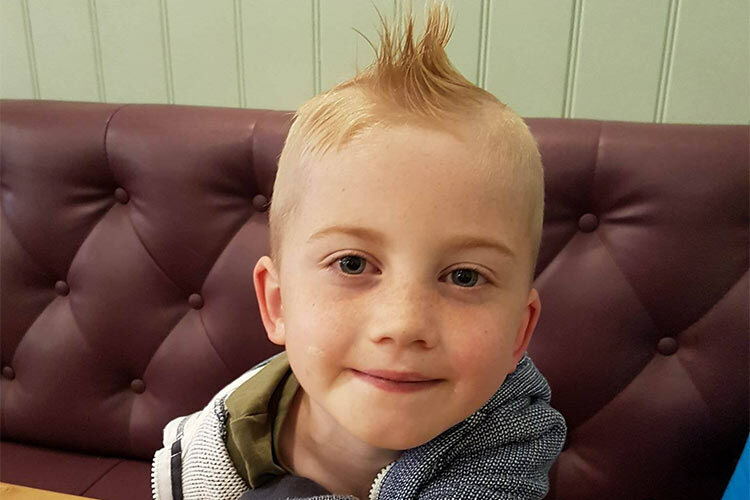 Michael was born on the 7th of Dec 2007 – I had to go in a little early as he was measuring small but I wasn’t worried as I had had an ok pregnancy with no problems other than the usual morning sickness. Looking back at the 20-week scan there was discussion about something but then they said that everything was ok and I never asked what they were talking about as I was too excited and happy to see my little baby. I didn’t find out what I was having as I wanted a surprise. I continued on with my pregnancy getting everything organised then at about 37 weeks I was sent for another scan – this is when they found out Michael was a little small although they said everything else was perfect. The consultant sent me in early to be induced and my beautiful boy was born at 4.40 (am/pm?) weighing 6lb. He was so small but just perfect. He was a little blue, but they said that was because he came out fast and I couldn’t have been happier at this point – I had 2 beautiful sons and everything was great. I said to one of the midwives that Michael wasn’t feeding very well so she took a look at him and that’s when alarm bells started ringing. She said his heartbeat was irregular and she wanted to get Dr’s to run some tests. My older son is a type 1 diabetic and I asked if Michael could be a diabetic as well? She said they would know more after the tests.  On the Sunday morning I was told the news that my son has a condition called Hypoplastic Left Heart Syndrome and needed lifesaving operations. I was advised to have my son christened and prepare for the worst. I didn’t know what to think at this point my emotions was everywhere – I was sad, angry and hurt all in one – it just wasn’t registering. After contacting my friends and family we had Michael christened that day in the hospital. On the Monday morning Michael went over to Birmingham and I followed the same day. We were in hospital for a week before his 1st operation, during which Michael’s heart stopped but thankfully the Dr’s managed to bring him back. This was the worst time of my life – it was nearly Christmas, I was in Birmingham with my little man who was desperately sick and separated from my older son who was home with family. It wasn’t the Christmas I had planned. 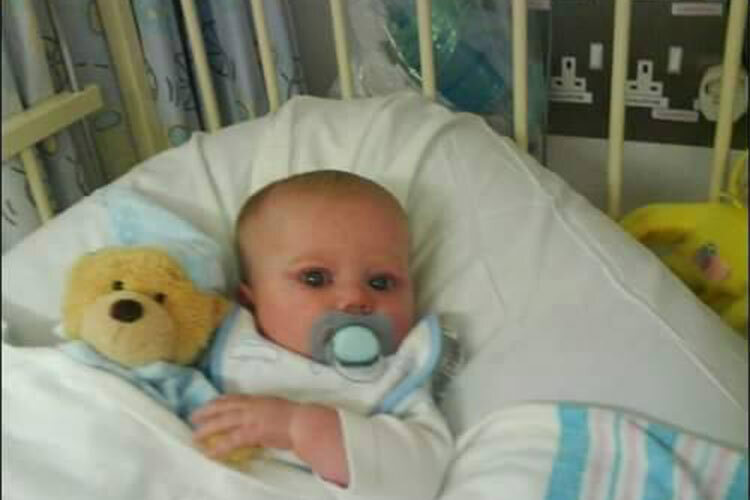 Although everything went ok with the first operation we were in hospital for a good wee while before going home and we weren’t home for long until we had to go back to Birmingham for his second operation when he was about 5 months old. He had his 3rd operation when he was 4 years old and did really well. 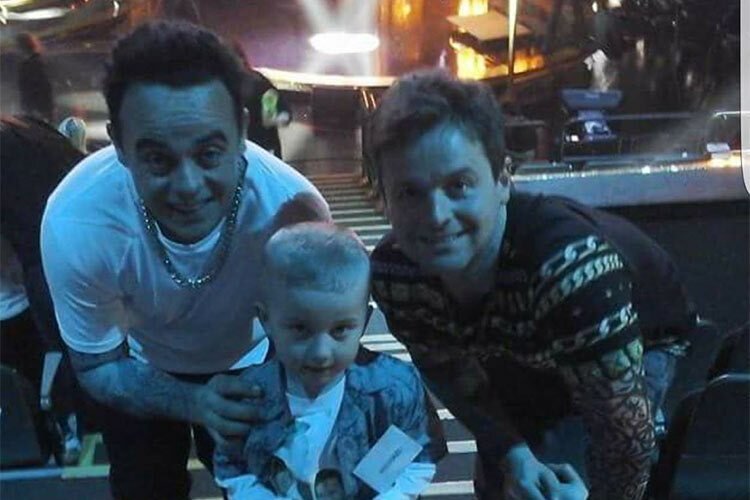 The best day of Michael’s life so far was on in March 2015 when he got to meet the two men that he loves and wants to be like when he’s older – Ant and Dec! He was so amazed and still talks about it every day! This has made up for all the things that we have had to cancel, like holidays or concerts because he has been took sick. Even this year we had to cancel a trip to Disneyland Paris because he wasn’t well enough to go. He was so upset and asked me ‘why do I have to be sick?’ which is such a hard question for any parent to hear their child ask. 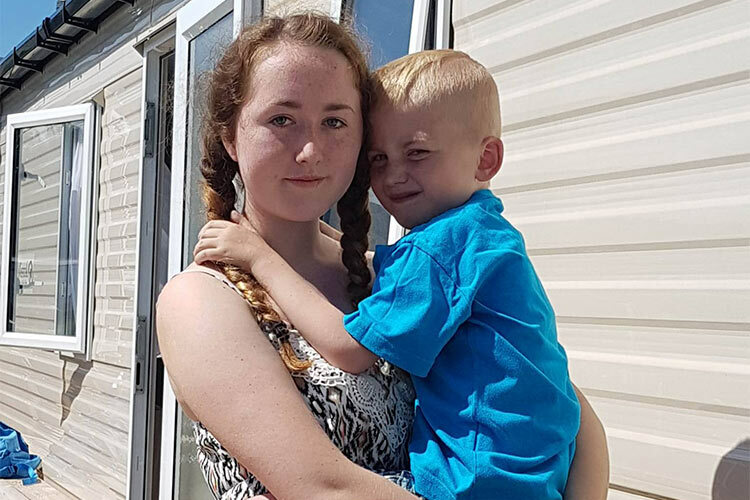 We did get to the Children’s Heartbeat Trust caravan this Summer though and we had an amazing week away with great weather and it was so special to spend some time away as a family. Michael has come through so much in his life and still has so much to come – but no matter what he always comes out the other end smiling. He has to get weekly bloods to check his INR levels for his warfarin, is on lifelong medication and we are constantly back and forth to the hospital with low oxygen levels. At the moment Michael is in a wheelchair as he is getting tired when walking a short distance or up the stairs as his oxygen levels keep dropping. Because of this he is waiting to go back to Birmingham for another procedure to see if this can help with the constant drop of oxygen, sleepiness and lack of energy. Despite all of this I can safely say Hypoplastic Left Heart doesn’t have him – he has it and he doesn’t let it stop him! He’s my little braveheart, my inspiration and his and his brother Alan are my entire world.